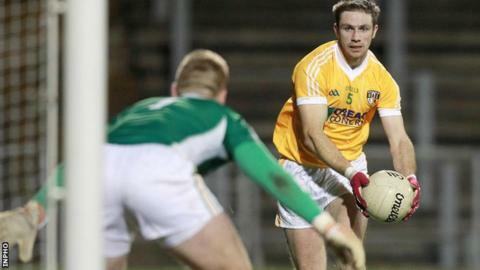 New Antrim boss Liam Bradley has brought Michael McCann, Tomas McCann, Tony Scullion and CJ McGourty back into the Saffrons squad for 2014. Bradley's predecessor Frank Dawson dropped Scullion and Tomas McCann before a crucial game last season. Their Cargin team-mate Michael McCann left the panel due to work commitments while St Gall's forward CJ McCourty was not selected by Dawson. However, Aodhan Gallagher and Sean Kelly are not in Bradley's panel. Gallagher is moving to Cardiff and is taking a year out while Kelly has turned down Bradley's invitation to play for the Saffrons next year. Portglenone player Niall McKeever is back in the squad after four years in the AFL. Bradley's previous spell in charge of Antrim included guiding the county to the 2009 Ulster final.